Pony Wagon Museum, 315 S. Springfield St.
1858 Meeting House (formerly 2nd Baptist Church), hosted by the Champaign County Preservation Alliance, 41 E. Sandusky St. Some of Champaign County’s most historic and legendary sites will be on display Saturday, Sept. 15, from noon to 5 p.m. The tour is free to attend. 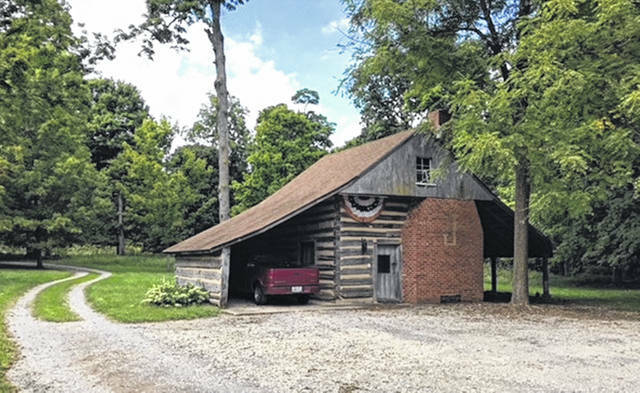 The Champaign County Historical Society (CCHS) is hosting a local segment of the statewide event Sept. 8-16 called Ohio Open Doors, which is organized by the Ohio History Connection. 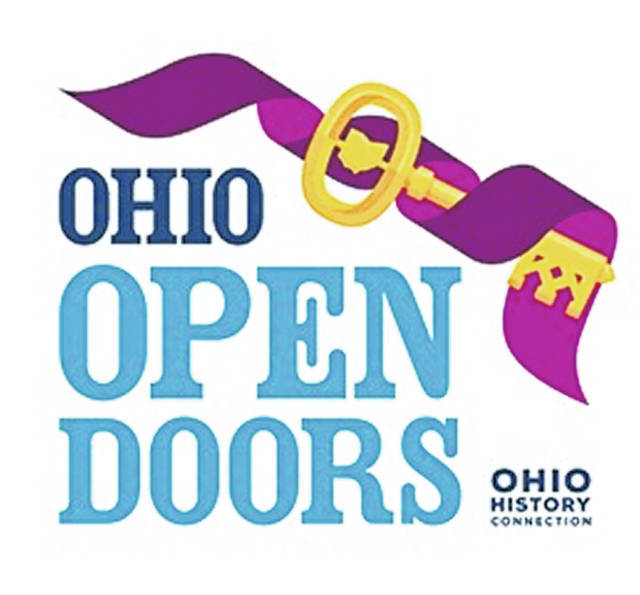 Ohio Open Doors was created in 2016 to celebrate the 50th anniversary of the National Historic Preservation Act. Passed by Congress and signed into law in 1966, the National Historic Preservation Act made preserving historic, architectural and archaeological resources whenever possible a policy of the federal government. Ohio continues to rank among our nation’s leading states in preserving historic places. “The idea is to open historic locations that are normally not available to the public,” explained Dan Walter of the CCHS. The CCHS museum at 809 East Lawn Avenue will serve as headquarters and host site of the event, and will be open from 10 a.m. to 5 p.m. The CCHS is also organizing an “after” event to be held 5-7 p.m. featuring renowned pianist/artist Scott Kirby. He will combine a short multi-media program with some background playing as people tour the museum. In addition to the museum, there are other sites in the villages and Urbana, as well as some in the rural corners of Champaign County. 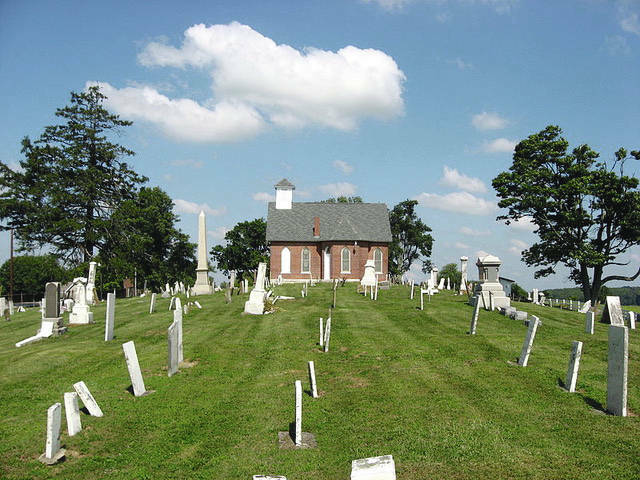 Honey Creek Cemetery contains the graves of the early Christiansburg settlers dating back to the 1820s. Two guided tours – 1 and 4 p.m. – will be conducted by local historian Candy Gilliam. 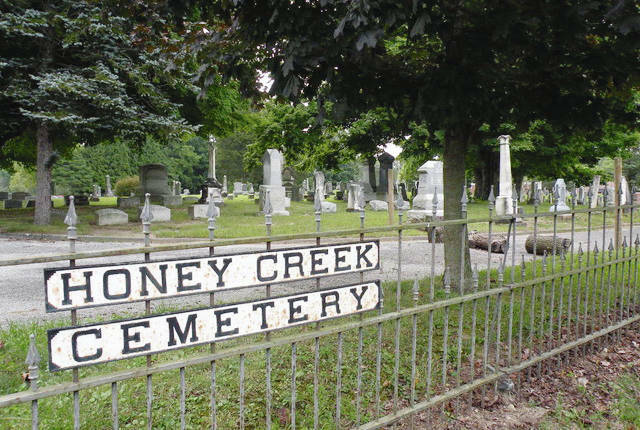 She conducted several well-attended, well-received Honey Creek Cemetery tours during Christiansburg’s 2017 bicentennial celebration. Moreover, she was the History Book Committee chair for the recently-published (2017) Christiansburg Bicentennial book Reflections of Our Village. 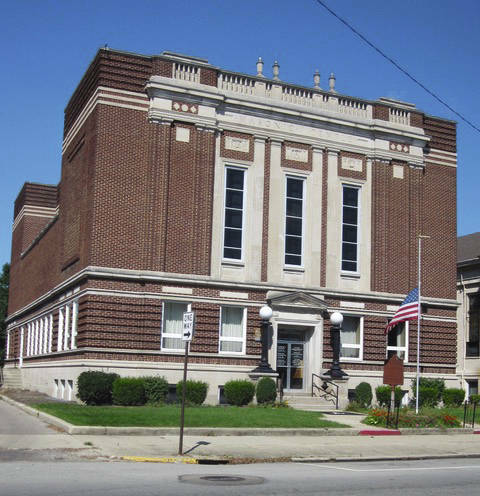 -Masonic Lodge – Marion Ross Museum, 203 N. Main St.
Mt. Olivet Lodge No. 226, founded in 1852, houses a 2nd story museum containing various artifacts related to the lodge and Marion Ross, the son of original settlers of Christiansburg. He served in the Union Army during the Civil War and was posthumously awarded the Congressional Medal of Honor for his participation in the Union Raiders’ capture of a railroad train at Big Shanty, Georgia, in an attempt to destroy the bridges and track between Chattanooga and Atlanta. The museum artifacts include Marion Ross’s journal of events and old prints depicting the locomotive heist. The Congressional Medal of Honor is available for viewing at the Champaign County Historical Society. -1858 Meeting House (formerly 2nd Baptist Church), hosted by the Champaign County Preservation Alliance, 41 E. Sandusky St. The 1858 Meeting House on Sandusky Street is the oldest public building in Mechanicsburg. 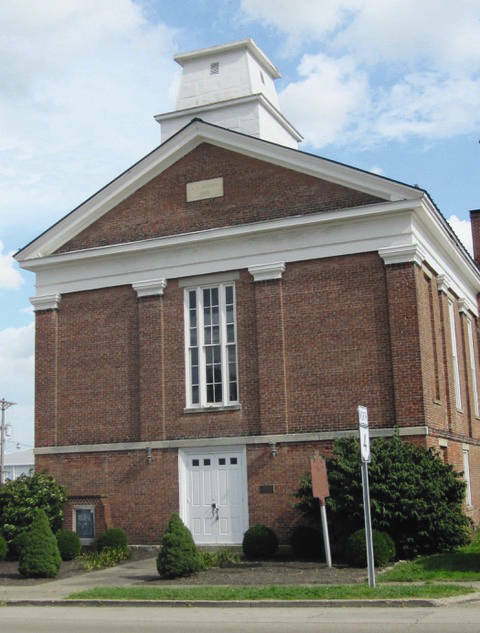 It was built by the Methodist Episcopal Church of Mechanicsburg and later served as the Second Baptist Church until the early 1980s. 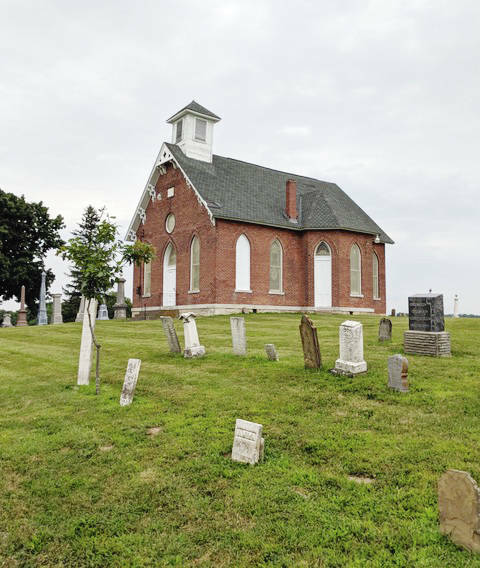 The Champaign County Preservation Alliance (CCPA) owns this 160-year-old brick Greek Revival church and just completed installation of a new, historically correct roof and finished renovation on the first floor spaces. The 1858 Meeting House is available again for public forums, private events, weddings and concerts. It is a great example of how a historical building can be preserved and made useful again. The CCPA welcomes all Ohio Open Doors visitors. -North Lewisburg Library (formerly Friends Church), 161 Winder St. The Quakers, the Society of Friends, originally met in homes of members and then a small meeting house was built in 1842. This building was replaced with the current brick structure around 1879. The brick structure had been updated throughout the years. Due to dwindling membership, the church closed and the property was eventually donated to the village of North Lewisburg. The last service was held on Oct. 26, 1997. In 2003 the Champaign County Library, with the help of the Friends of the North Lewisburg Library and village, made necessary upgrades to the building and a branch library opened to the public. 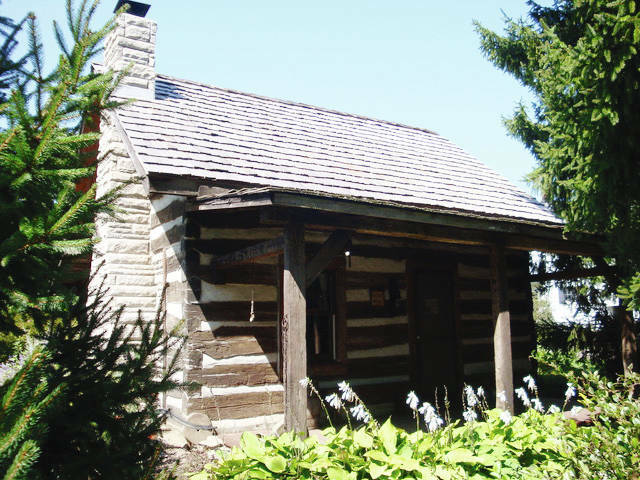 The log cabin located behind the Coates residence is an original (1830s-1880s) taken from a farm house in Marion County. 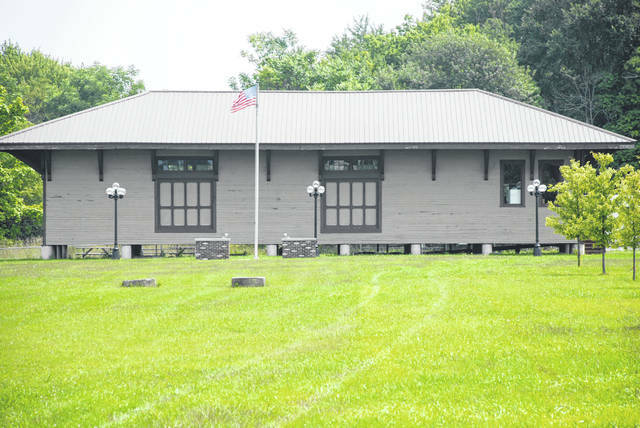 The Coateses restored the cabin and it is now used to display North Lewisburg history and artifacts dating back to 1812. A slide show portraying the history of North Lewisburg will play throughout the event. The Pottersburg Bridge was built in 1868 by Reuben L. Partridge of Marysville. Known also as the Upper Darby Bridge, this bridge originally spanned nearly 100 feet over the Big Darby Creek on North Lewisburg Road in Allen Township of Union County. 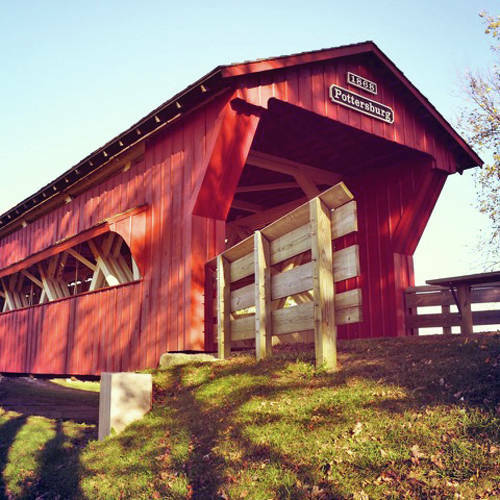 In 2006, the bridge was moved intact to its current location along Inskeep-Cratty Road where it was renovated and made a part of a multi-use trail extending into North Lewisburg in Champaign County. The bridge was replaced by the new North Lewisburg Road Covered Bridge in 2007. -Pony Wagon Museum, 315 S. Springfield St. 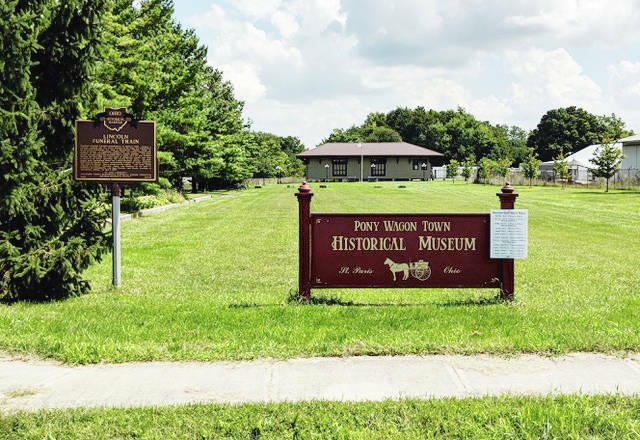 Housed in the former Pennsylvania Railroad Freight Depot built over 100 years ago, the Pony Wagon Town Historical Museum features artifacts that chronicles St. Paris history. Exhibits include carriages and pony wagons manufactured in St. Paris, photos of local businesses, schools, etc. 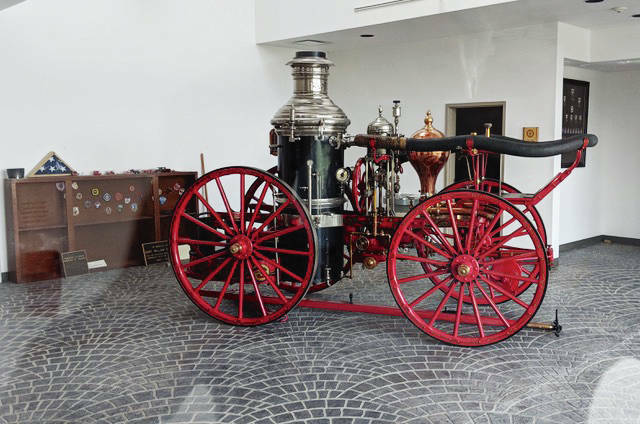 -Fire Station Training Center (original horse-drawn pump), 403 W. Main St.
Visit and see the first St. Paris fire engine, an 1884 horse-drawn steamer. Also included are the original 1883 Constitution of the St. Paris Fire Dept. and, in the cupola, the original bell. -Gloria Theatre (“A Walk With Simon Kenton,” a one-hour film at 10 a.m. and noon, plus “back stage” theater tours), 216 S. Main St.
Urbana’s Gloria Theatre has a rich history that began more than 113 years ago. In 1904, The Clifford Theatre was constructed by famous vaudeville actor and Urbana native William Shyrigh, better known by his stage name, Billy Single Clifford. It was a spectacle of its time with an 80-foot stage and a seating capacity for 700 patrons. The cost was $75,000, which equates to about $2 million today. Several fires at the Clifford in 1918 and 1919 were suspected to be caused by sabotage. The losses included a large portion of the theater and most of Billy Clifford’s fortune. Billy could not afford the necessary repairs so most of the Clifford Theatre sat dormant for years. Warren Grimes, founder of Urbana-based Grimes Manufacturing and known for his philanthropic endeavors, purchased the decaying theater in 1940 and invested in an extensive remodeling and repurposing project at a cost of, again, about $2 million in today’s dollars. The theater reopened on Christmas Day, 1941, as “The Gloria,” named after his youngest daughter. For 26 years, The Gloria was the entertainment gem of the community. In 1966 the theater was sold to Chakeres Theatres and later converted to two screens and renamed the Urbana Twin Cinemas. The Twin Cinemas closed in 2013 and the building was put up for sale. 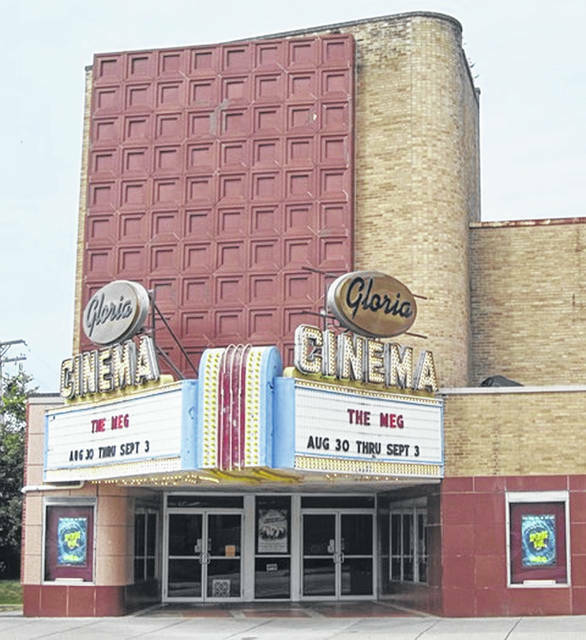 In 2014, the Urbana United Methodist Church purchased the building and formed the community-based nonprofit GrandWorks Foundation to operate the theater, renamed “The Gloria,” as a wonderful gift to the community and a platform for social, spiritual, cultural and economic growth. -Masonic Temple, 222 N. Main St. The Urbana Masonic Temple at 222 N. Main St. in Urbana was dedicated in 1915 and is built in the Adamesque style popular in the early 1900s. It serves as home to two Masonic Lodges, Chapters of the Eastern Star and Royal Arch Masons, a Council of Royal and Select Masons, and a Commandery of Knights Templar. 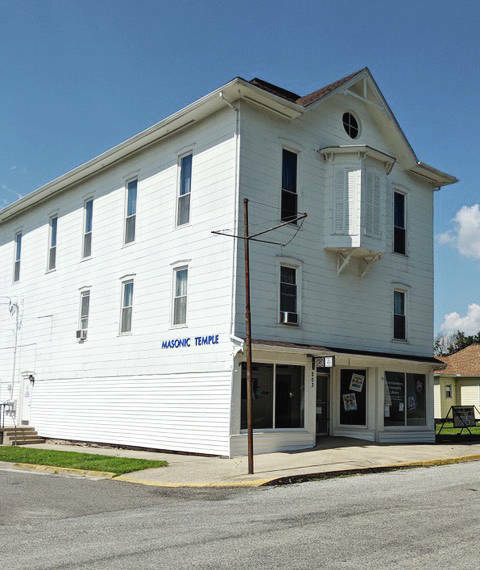 The Masonic fraternity has been a vibrant part of Champaign County since 1809, and this building is the fourth building dedicated to their uses over the past 219 years. The Ohio Open Doors initiative allows the public to explore the Temple and its Lodge and Chapter Rooms. Representatives of all of the Masonic organizations will be ready to answer questions. The NX23 Caboose at 644 Miami St. is a real survivor. 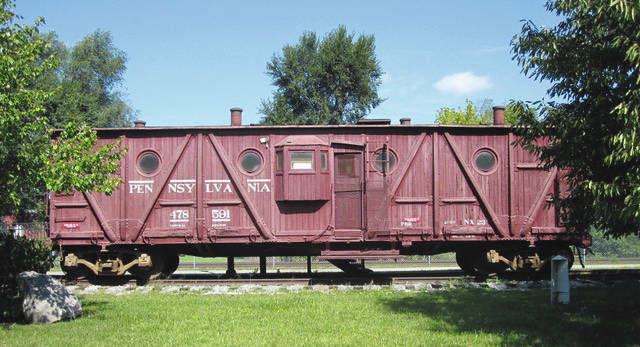 It started life as a boxcar around 1910 and during World War II was converted into a caboose for the Pennsylvania Railroad. It is a great example of American wartime ingenuity. After WWII it continued on the Pennsylvania Railroad until it was retired around 1950. For the next 50 years it served as a field office here in Urbana. The Champaign County Preservation Alliance (CCPA) supported the restoration back to the WWII configuration and is now preserving this piece of railroad history. The CCPA welcomed the opportunity to participate in the Ohio Open Doors initiative. All aboard! The Urbana Country Club’s bucolic setting has not changed in the nearly 100 years since the club was established, and the views described in 1922 are the same today. Both the location and setting greatly contribute to the property’s historic integrity. Natural hazards for the golf course abound in every direction and the view “from the hilltops” is superb. On a clear day the “blue hills of St. Paris” form the horizon. The design of the nine-hole course, completed in 1923, is intact. Designed by Paul F. Dye, father of world-renowned golf course architect Pete Dye, the UCC course remains an example of an early 20th century golf course. Though periodic improvements have been made, the historic golf course has not been reconfigured. This year, 2018, the property was placed on the National Historic Register. The Johnson family began producing maple syrup at this location in 1934. The original sugar shed was torn down and the current shed was built using the original frame. The log cabin on the site was built in 1884 at another location but was relocated here in 1984. Stevens Bakery and Orchard is a family-owned and operated business that began in 1998. The bakery now offers 25 varieties of pies made from scratch. The orchard is home to 1500-plus fruit trees including 18 varieties of apples. Tours of the orchard, apple shed and bakery will be offered on an informal basis as visitors arrive and time permits. 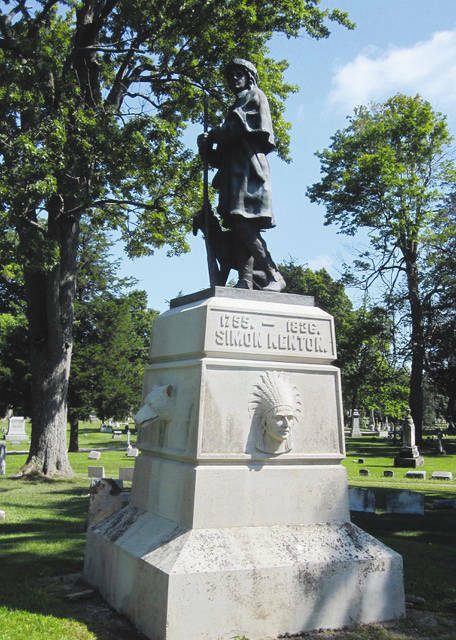 Established by the city of Urbana in 1856, Oak Dale Cemetery replaced the “old graveyard” (1805-1855) located at the northeast corner of Kenton and Ward streets in Urbana. From the Mount Tabor society’s earliest years, members buried their dead near the site of the present church. The earliest recorded burial on the site of the church’s cemetery is that of a child who died in 1811; at that time, there were no plans to use the ground for religious purposes. Individuals from many generations since have been buried in the cemetery: among the graves are those of veterans of the American Revolutionary War through World War II. Among the grave markers are three fashioned from cast zinc. These are highly distinctive, for zinc markers were only manufactured for a few years near the end of the 19th century.